Literacy, as defined by the Utah State Office of Education, is “…to enable all students to become proficient in the area of literacy for the purposes of reaching their individual potential and becoming successful citizens in today’s world.” In Provo City School District, we support this statement. 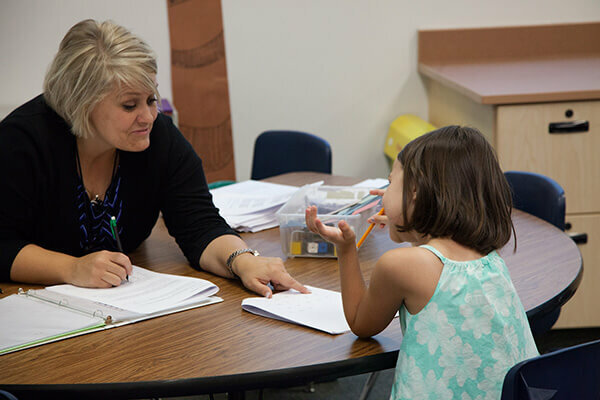 Beginning in the primary grades, critical reading skills are addressed through research-based instructions and practices, a systematic and explicit sequence of instruction, and the use of a variety of genre. Our aim is to develop a deeper understanding and appreciation of the powerful impact of the written word. The Secondary English Language Arts curriculum gives students in grades 7-12 opportunities to deepen their understanding of the Utah Core Standards and increase critical thinking skills. Both will prepare students to be College and Career ready post high school graduation. Provo School District students read both fiction and nonfiction in their grade band text complexity. An emphasis placed on close readings of rich texts and synthesizing information from a variety of texts on a common topic prepare students to successfully navigate literacy throughout their adult lives. A variety of writing assignments (argument, explanatory/informative and narrative) teach students to compose for a variety of purposes and audiences while discussion opportunities using multiple formats prepare students to engage in thinking and listening skills critical to success.